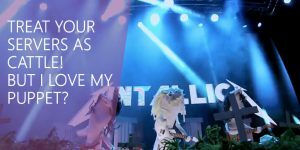 So the end of 2016 is near and I wanted to do a post about what has been going on during this awesome year….. Starting in January I had my achilles tendon rupture that happened in December 2015 to recover from and that made me a little more inmobile than usual but still that did not hold me back from being one of the proctors at the DevOps Hackathon in Copenhagen where I got to be with Rasmus and Aleksandar from Microsoft and also Claus and Fredrik helping the teams doing magic with the time limited to 2 days. It was really cool to see all ideas and how they tried to work together and reach the goal..
Then in February it was time for the NIC Conf in Oslo where I and Fredrik had two sessions about Chef and Azure. It is a great conference and if you have time this year I would strongly recommend you to go there! After that great event and networking we headed back to Sweden and the Microsoft TechX Azure conference where me and Fredrik had the first AzureStack session in Sweden, also during the days we had a Chef DevOps and a Operations Management Suite session. Also in February Me and Fredrik together with two developers Mathias and Jakob did a whole DevOps-day at the Microsoft office in Stockholm and the event was sold out and a total success! In March it was time for a vTech seminar where I had sessions about Operations Management Suite and AzureStack together with Microsoft and HP Enterprise showing the CPS in their 250 box. 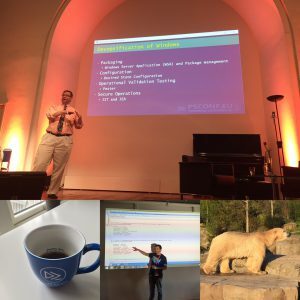 In April I went to the awesome PowerShell Europe Conference in Hannover and helped out Steven from Chef as he could not make it so I did his session on Chef together with PowerShell DSC making awesome stuff on Azure. If you are smart and want to stay in IT I recommend you to go to this conference in 2017! In the beginning of May me and Fredrik had a session on SCUG Datacenter day about Azure Site Recovery. Also later in May it was time for the DevOps Hackathon in Sweden with Rasmus and Aleksandar where I also was a proctor and helped out with the event! 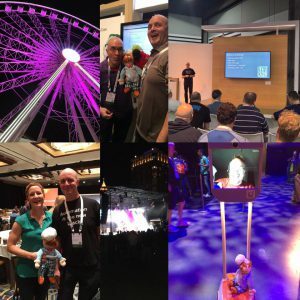 In September I had a session on the gigantic Microsoft Ignite conference about Puppet and PowerShell in a real world case. 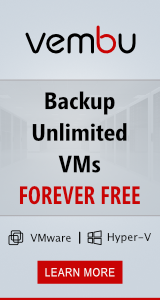 During this event Windows Server 2016 and System Center 2016 was released also! I had some great networking with people and I helped out some with different expertise areas! Of course the Swedish Chef was there! 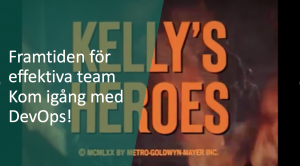 In October I got to be part of the Swedish Microsoft Webinar series about the release of Windows Server 2016 and my part was about Hyper-V and VMM. 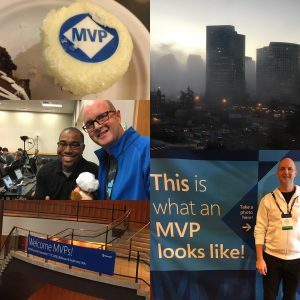 In November I went to the MS HQ in Redmond and had as always a great time networking with Microsoft people and other MVP´s. During the week I was trying to schedule my time the best way but as always you cannot be everywhere in the same time unfortunately. One of the key take aways was the workshop on Thursday about Value Stream Mapping and I will surely use it in the future and that not only for pure software development stuff! If you have some time over during the holidays I would recommend you to read the Phoenix Project!! The last time-slot on the last day of the TechDays conference me and Fredrik had the fun session about Puppet and PowerShell, unfortunately our session was not one of the recorded this year.. Thank you all for being part of this awesome year of 2016 and hope to see you all next year!